If you’ve ever wondered what a Cuban Bolivar would taste like in a thick, heavy ring gauge, you can find out today—you’ll just have to go to Hong Kong. 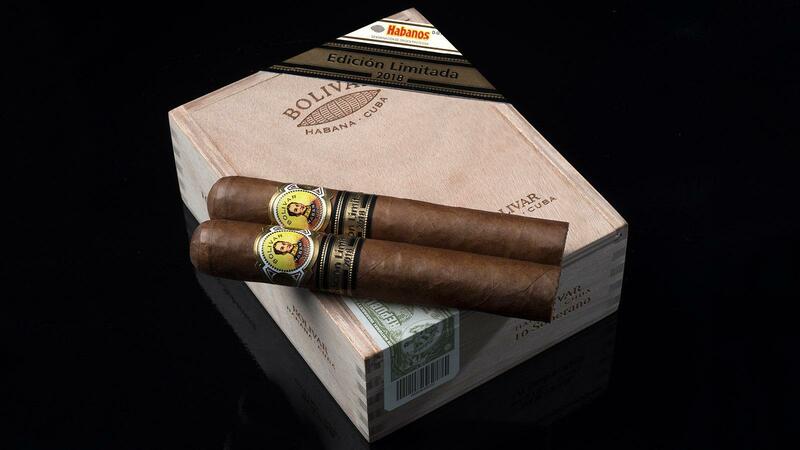 The Bolivar Soberano Edición Limitada was unveiled yesterday at a launch party at the Kerry Hotel in Hong Kong. It has also been released throughout the Asia Pacific region. The Soberano is the second Edición Limitada cigar released for 2018, and measures 5 1/2 inches by 54 ring gauge. Referred to as Duke in Cuban cigar factories, this size has never been used for the Bolivar brand before now. The Bolivar had not one, but two launch parties—one yesterday and one today (Hong Kong time). The events were arranged by Pacific Cigar Co. Ltd., exclusive distributor of Cuban cigars for Habanos S.A. in the Asia Pacific region. Packaged in slide-lid, wooden boxes of 10, the Bolivar Soberanos are now available throughout the Asia Pacific territory for a suggested retail price of HK$438—that’s about $56 a cigar. There’s no official word on when the new Bolivars will start shipping to the rest of the world. This release follows the Romeo y Julieta Tacos Edición Limitada 2018, which premiered in September in Spain with similar fanfare and is now available worldwide. The global market still awaits the third Edicón Limitada for 2018—H. Upmann Propios. For Cuban Bolivar cigar ratings, click here.